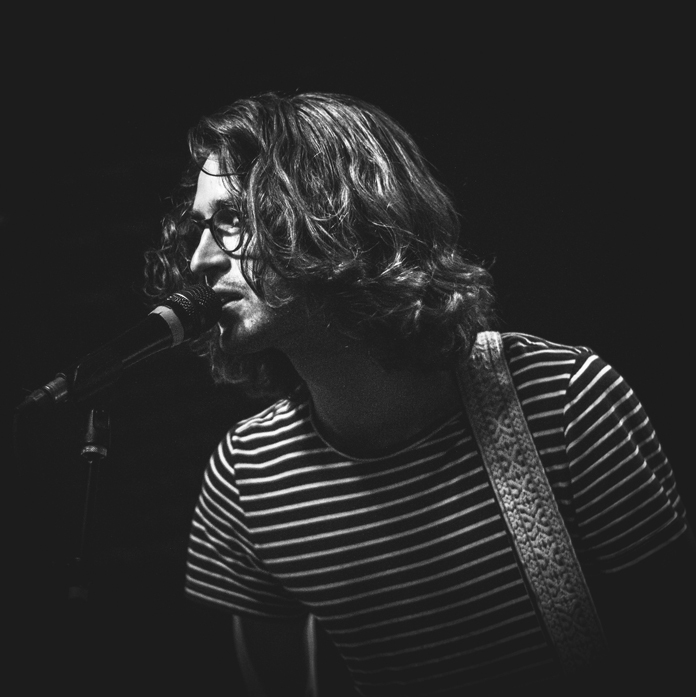 Gold Connections, the full-band vehicle for Charlottesville, Virginia-based singer/songwriter Will Marsh, has announced a new EP, Like a Shadow, and we're pleased to premiere its title track and first single, "Like a Shadow." "Don't write like the letter never sent/I remember thinking/I still get to thinking/This life never ends," Marsh sings over a hazy backdrop of gently distorted guitars. The track is equal parts '90s alt-rock bravado and minimal pop à la The Jesus and Mary Chain. Check out the song, along with a pre-order link and some tour dates, below. On the making of the EP Marsh had this to say: "I wrote these songs at the beginning of a strange period in my life­­—marked in equal parts by graduation, the election of our new president, the end of a relationship, and the fulfillment of my lifelong dream to record a studio album. Reality was shaken and the range of possibilities was shifting. Like a Shadow, and especially its single of the same name, is about the struggle to move forward into a world that seems both infinitely precarious and abundant. It's EP on aftermath, written through a mixture of fear, melancholy, and lust for life." This release will be Marsh's first since last year's Popular Fiction, an album that gestated for a period of several years. This EP is decidedly more contemporary, having been mostly written over the course of the last year. Like a Shadow also marks the first time Marsh recorded with the same band that he tours with, giving the album a newly minted internal consistency. Gold Connections' first EP was produced by Will Toledo of Car Seat Headrest while the two were in school together. Starting in early March, the band will be headed on the road for a run of several dates stretching to the Midwest before finally terminating at SXSW. Preorder the EP here. This is bound to be an amazing track.